Paul has owned and operated Mechanical Restoration Services since 1987. He graduated from Worcester Polytechnic Institute with a bachelors degree in Mechanical Engineering. He also has a masters degree from Northeastern University in Actuarial Science. After college, he worked in the insurance industry before starting his restoration business. Paul has always loved old cars. He has owned and restored many antique cars over the years. 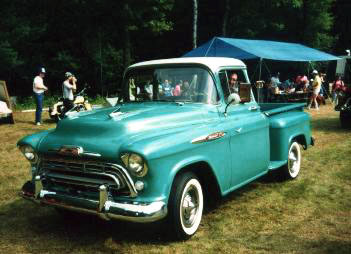 He currently owns a 1955 Chevy Bel Air two door hardtop, two 1957 Chevy 3100 pickup trucks, a 1969 Chevy CST pickup truck and a 1949 Ford F-1 pickup truck. He enjoys driving his cars as much as he enjoys maintaining them in proper operating condition.